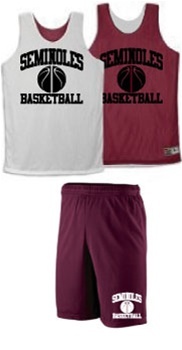 This reversible mesh basketball uniform includes 1 reversible jersey - wear one way for HOME matches and inside out for AWAY games. Matching basketball shorts included. 1-Color team logo on one side included. Available inseams: Women's 5", Youth 7", Adult 7", Adult 9", Adult 11"
Great Quality/Great Service...will be back for more.